Hepatitis C is a notifiable infectious disease, which, if left untreated, can cause liver inflammation, scarring and cancer. The good news is that hepatitis C can now be easily cured. A daily pill is available from your GP, which has little to no side effects, and can cure your hepatitis C within 8-12 weeks. 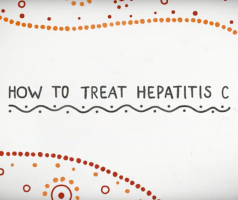 Watch this video to learn about how to get tested, and what to do to get treatment if you have been diagnosed.